Pigment ink is ink that stays firmly on a paper and will not, generally speaking, be removed by water or friction. 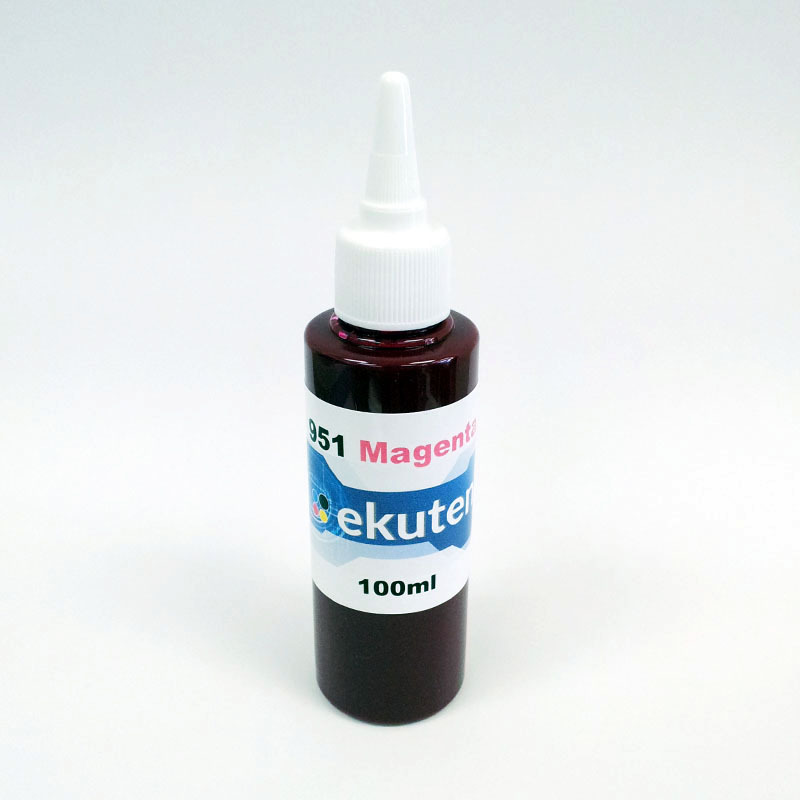 Pigment inks usually contain other agents than those in standard dye inks, and these agents ensure adhesion to the paper. Typically, pigmented inks contain larger particles than other inks; these particles are absorbed by the surfaces they are applied to and are difficult to remove after this point. While water tends to smear simple dye inks, pigment inks, once dry, usually run very little, even when immersed in water. Pigment inks can be used for nearly any purpose that dye inks can be used for, and can even be used as the ink source for printers. While the dye in dye-based inks tends to dissolve completely in water, pigment ink usually does not dissolve completely. Because of this, dye-based inks tend to offer a much smoother writing and printing experience. They can also be made to show much brighter, fuller colors. If, however, dye-based inks are exposed to water in even small quantities, the ink will smear over the paper and render the writing or image damaged or unreadable. The larger, undissolved particles of pigment inks, however, are absorbed into the fibers of the paper and tend to be much more difficult to ruin without physically destroying the paper. While a pigment ink has many clear advantages to other kinds of ink, which typically fade more easily and are more quickly ruined, pigment ink tends to be more expensive, as well. Archival pigmented inks, which are made to last for a very long time without fading or suffering water damage, can get quite expensive. Pigmented inks are simply more expensive to make than simpler inks, such as dye-based inks. Colored pigmented inks are also very expensive because of the need to ensure that the color fades as little as possible. Archival pigmented ink is ink that is designed to last for a very long time. It is not essential that most written documents last very long, and it is insignificant if they fade or not. For some rare documents or works of art, however, it is of the utmost importance that the ink used lasts for a very long time. Archival-quality pigment ink can last for decades if whatever it is on is kept out of unfavorable environmental conditions. Many artists favor pigment ink because it generally fades very little over time, while other inks commonly fade when exposed to sunlight for even short periods of time. HP 950, HP Officejet Pro 8100, 8600, 8610, 8620, 8625, 8630 Clogged Printhead repair with ekuten Sup..
ekuten HP 950 Printer Head Unclog Flush Cleaning Accessory Kit Package Incl..
HP 952, HP Officejet Pro 8710, 8715, 8720, 8725, 8730 Clogged Printhead repair with ekuten Super Cle..